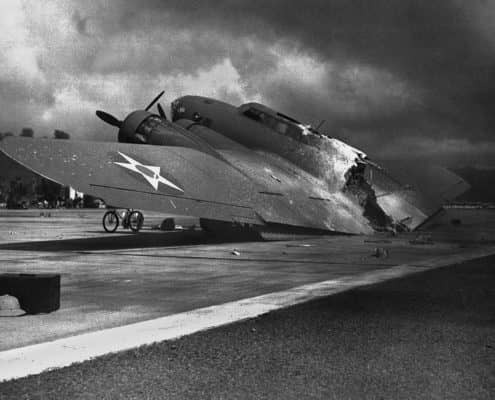 Starting just minutes before 8:00 in the morning and lasting nearly 2 hours, many of the battleships anchored on battleship row, several other navy service vessels in the harbor – as well as hundreds of planes parked “tip-to-tip” on the 8 airfields across Oahu were damaged or destroyed. 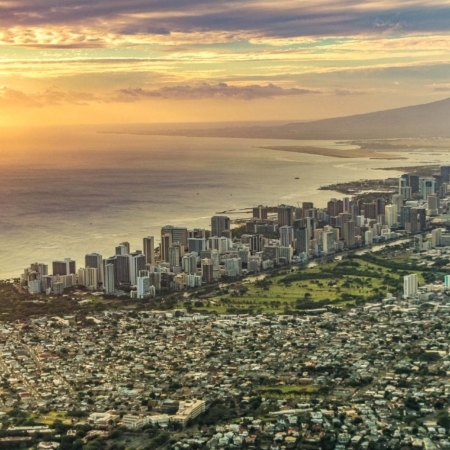 Luckily the civilian population and historic sites in Honolulu were largely spared. 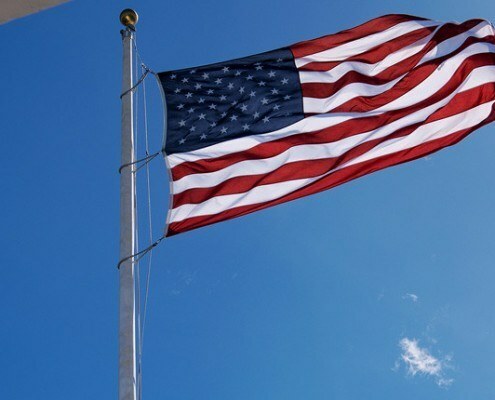 This single act caused public opinion to change from an “America First”, isolationist mentality to a fully committed international ally, ready to show it’s industrial might. 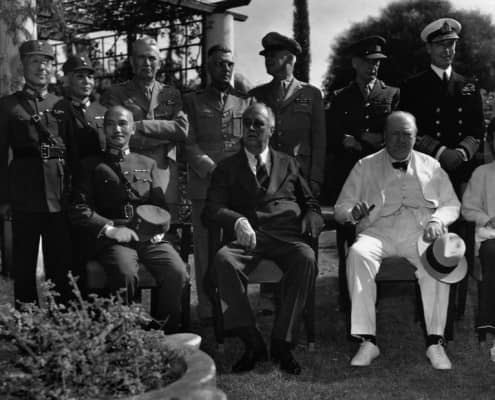 The next day President Franklin Roosevelt asked congress for a Declaration of War and within days Germany and Italy declared war on the United States. World War 2 had become truly global. The Japanese Navy had the largest number of aircraft carriers of any fleet at the time. Most navies throughout the world were using their small aircraft carriers for fleet reconnaissance, not so much as an offensive tool. The British attack on Taranto changed all that. A single aircraft carrier, the Illustrious, launched 24 planes at the port over two days, crippling the Italian Navy and forcing them to retreat to more protected harbors. It showed the world that no harbor was safe and planes launched from aircraft carriers had effectively ended the age of the battleship. The Japanese high command learned from this, and other techniques they observed the allies starting to use across Europe, like large scale bombing runs using hundreds of planes. 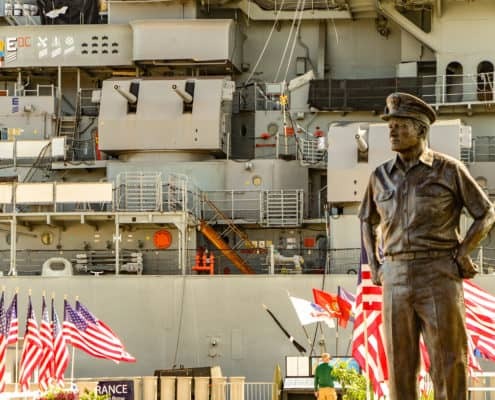 What the Japanese started in modern warfare would become the United States’ naval strategy throughout the Pacific war – combine multiple aircraft carriers into a force that could launch a large scale attack anywhere in the Pacific. 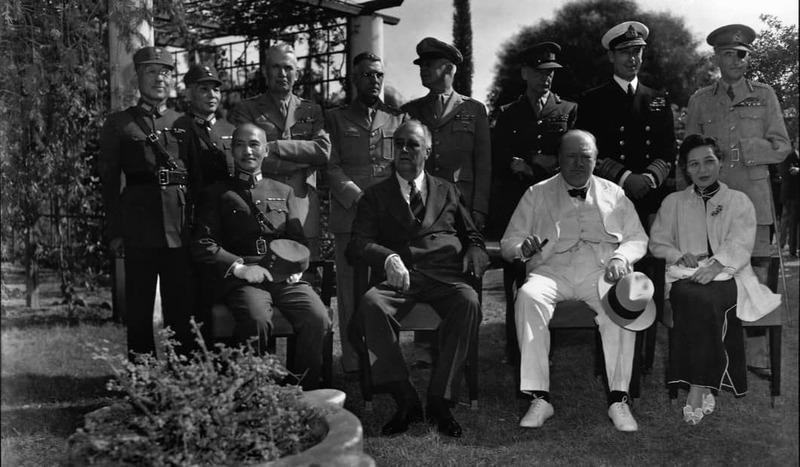 The United States realized that tensions were high… high enough with Japan to cause war to break out in the Pacific. When the Japanese fleet’s radio traffic went silent, it alarmed the British & Dutch who expected an attack on their colonies in Southeast Asia. 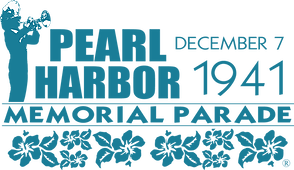 In November, shortly before the attack, on Pearl Harbor, the US intercepted a Japanese message which US code breakers were able to translate that warned the peace negotiations were expected to “break down”. 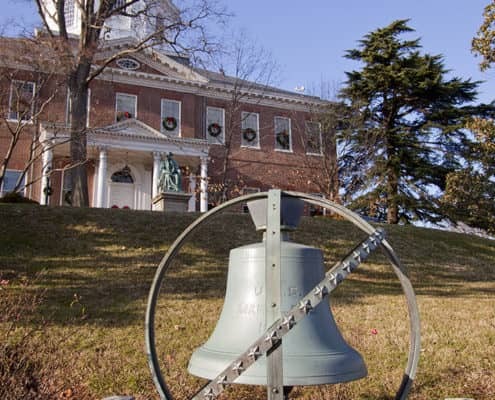 Before and during the war, every nation, on both sides, had their intelligence services working on code breaking and gaining inside information via spies or were utilizing new technologies like radar to give them more accurate information to plan their strategies. 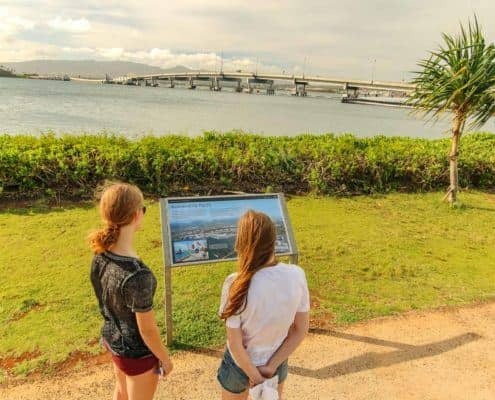 Since March of 1941, Japanese spies had been recording fleet movements in Pearl Harbor and in September they started mapping Oahu’s airfield locations. The US knew about this type of espionage as it was common across the world. 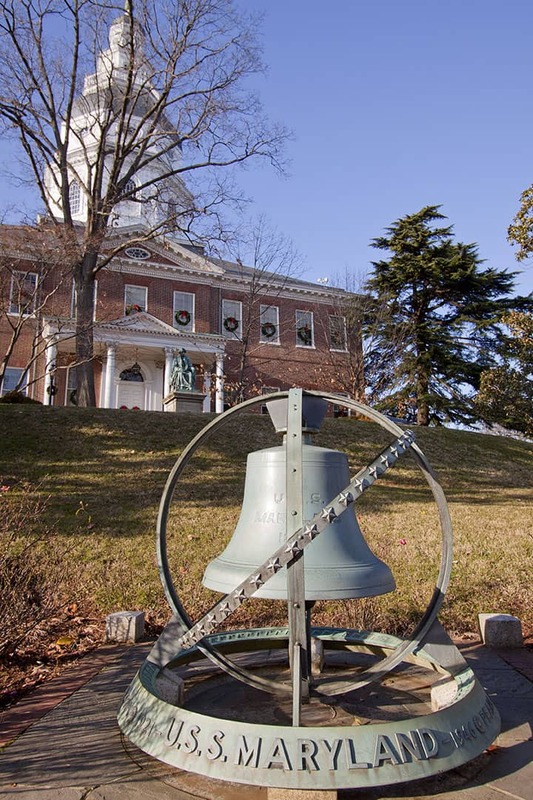 Unfortunately, the discovery of these activities did not positively identify where an attack would occur and so it was not considered information worthy of taking action upon. 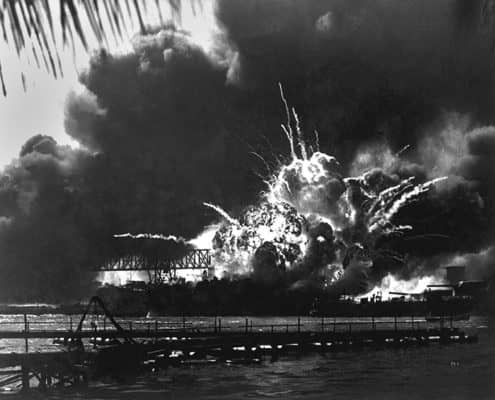 Most assumed that Pearl Harbor was not an easy target, being so far from Japan, so therefore not a likely target. Concerns were directed more towards the Philippines and the Dutch East Indies. 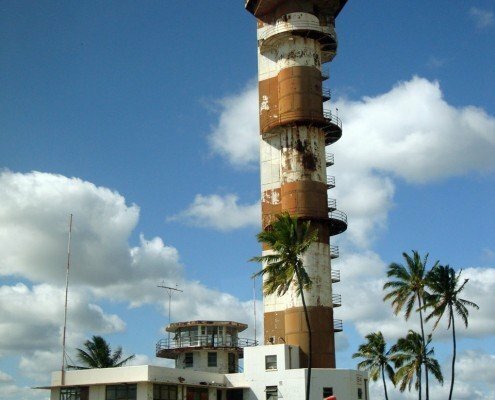 The strategy of the US on-island Command was more focused on maintaining security from sabotage rather than responding to a large scale attack. The 5th column was more of a threat it was reasoned. 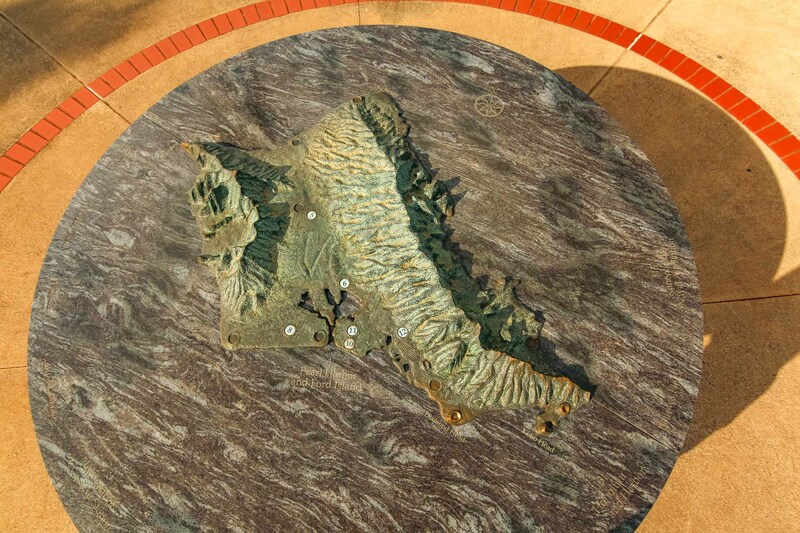 Little did they know that there were a few Japanese sympathizers on Oahu and they were focused on surveillance rather than destruction. 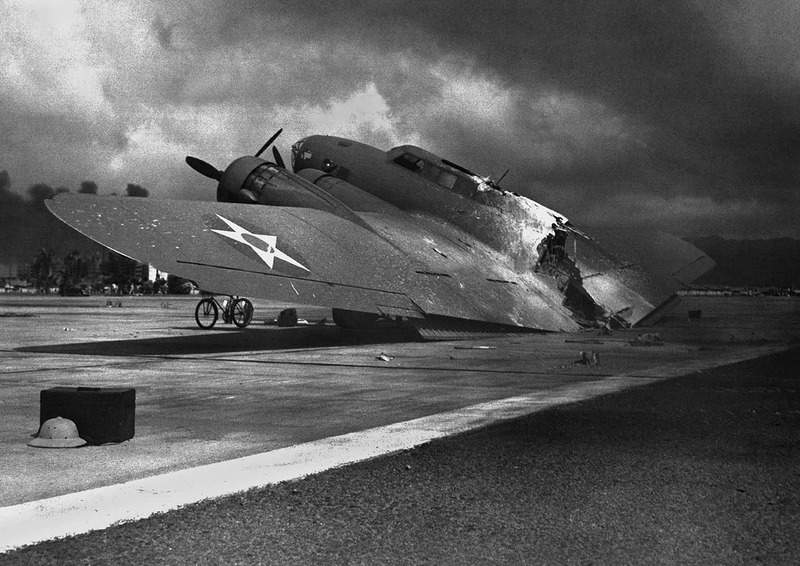 The information they passed along to Japan made US planes and ships easy targets for aerial bombardment. 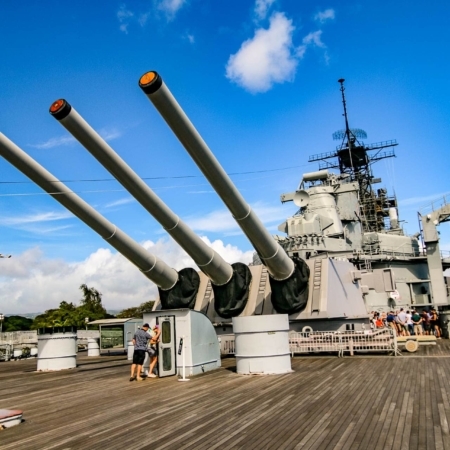 Top military commanders believed that Pearl Harbor was too shallow to allow for a successful attack with torpedoes and measures to protect them were not in place at the time of the attack. The Japanese worked for close to a year developing a way to attack shallow water harbors. They overcame the shallow depth torpedo problem by installing wooden breakaway flaps on the torpedo tails, controlling shallower dives when getting dropped from height. They had devised a way to destroy torpedo ships and not just damage them with bombs in shallow harbors. 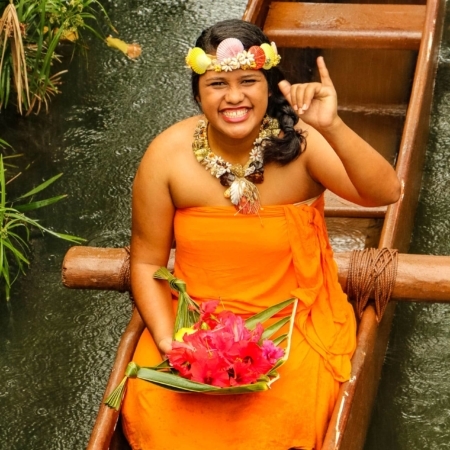 Hawai’i is a long way from anywhere, over 4000 miles from Japan and over 2000 miles from the West Coast. 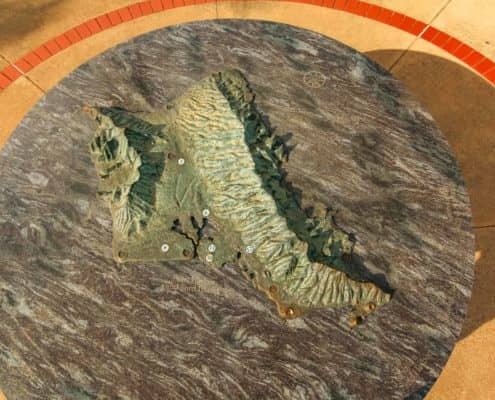 The US military did not consider Japan to be able to properly undertake a mission to attack Hawai’i with any real force. 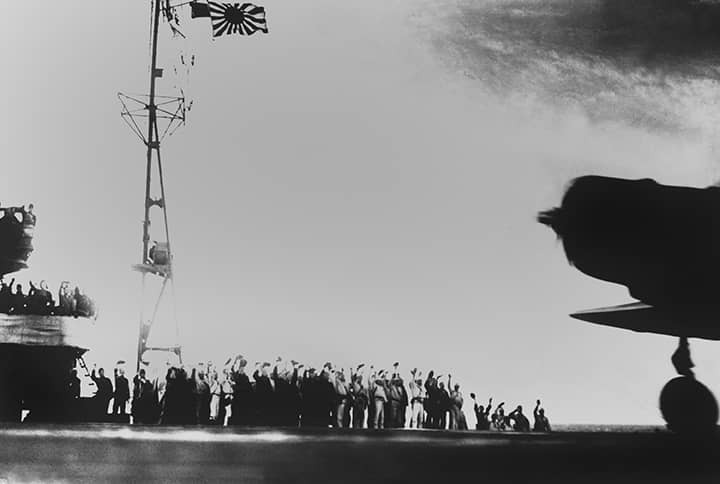 The logistics required for refueling, operating a fleet in weather, maintaining radio silence and coordinating the ships and planes needed to be effective were thought to be so insurmountable that the Japanese could not pull it off. Especially during the winter months when the North Pacific can see large storms and rough seas. No navy up to that point had used multiple carriers and hundreds of planes in a sea based attack. 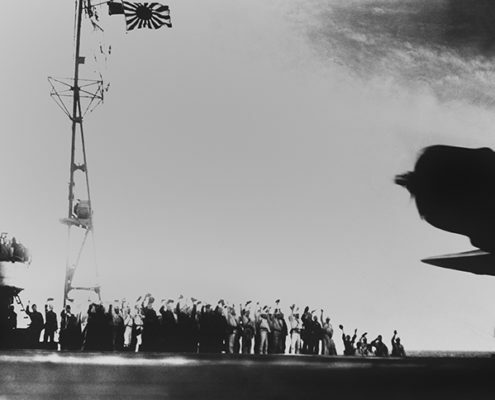 US Intelligence thought it improbable but the Japanese hoped that this surprise attack would create a crippling blow to the US Navy and put fear into the hearts of America that a strike could happen anywhere. The US was not on an active war footing and because they simply didn’t expect an attack, it was certain they would not be effective in defending against one. 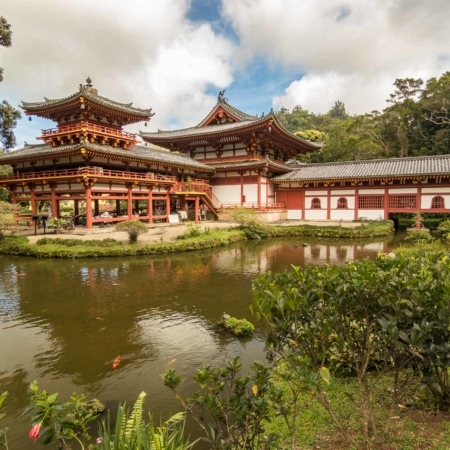 The prevailing thought was that Japan would not provoke a direct attack on the USA because it would give President Franklin Roosevelt the reason he needed to take the isolationist country into war. 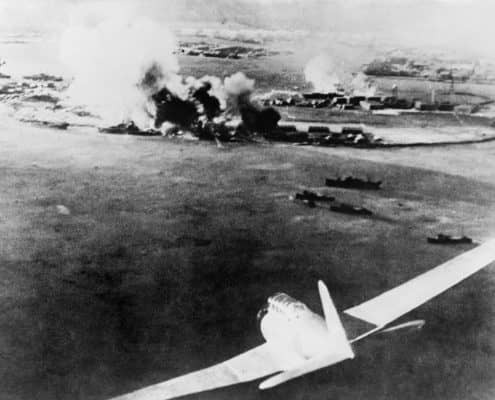 The US expected Japan to attack the colonies in Southeast Asia (which they did as well as attack Pearl Harbor). Japan did not know about the radar technology that the US had. 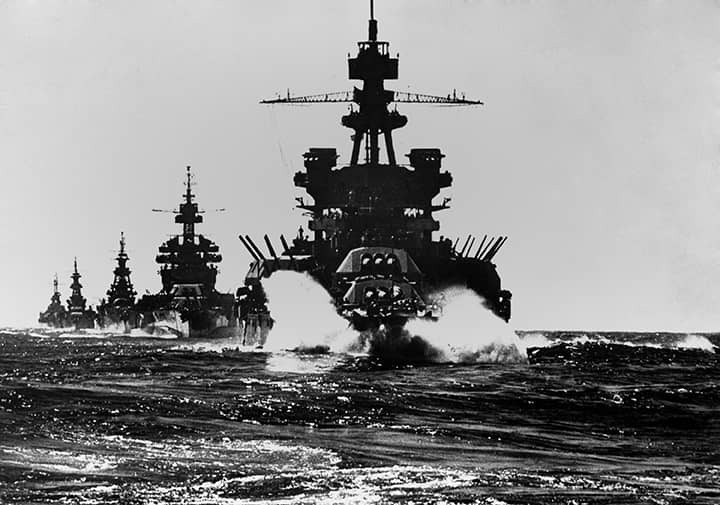 While the Japanese fleet was enroute to Hawai’i they were still waiting for official permission to begin the attack. Although the US had broken Japanese codes, they were still unsure of what some of the messaging really meant. The Winds Code is one of those. Japanese radio was broadcasted internationally and was picked up by ships at sea. They would listen for certain phrases contained in the weather reports. These included phrases like “east wind, rain” or “west wind, clear”. The suspicion within US intelligence was that they stood for countries and actions being ordered. When a certain phrase was broadcasted it was understood that Japanese forces were being given orders. Exactly what was being said became the subject of much discussion. A major figure in this was Edwin Layton. He was a champion code breaker, fluent in Japanese and in charge of intelligence for the entire Pacific arena. He was sure that Washington was keeping information from them so they could make better decisions on the ground in Hawai’i. This was true to a certain extent although it was never on purpose. Washington told base commanders across the Pacific to prepare, although left it up to them to decide how best to do that. 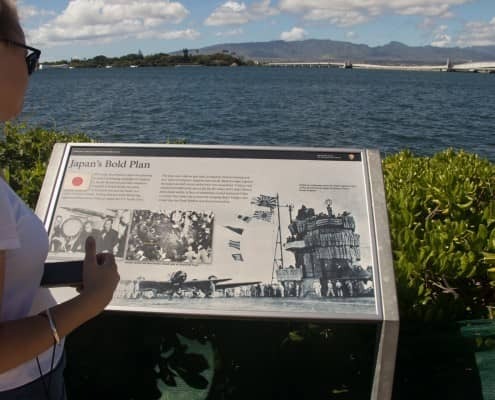 The information being provided to Pearl Harbor’s base command did not indicate that a threat to Hawai’i was imminent. Great Britain, France and Netherlands were barely holding onto their colonies in Southeast Asia. Those areas contained much of the resources that Japan needed, so it was logical that they sent their fleet out to capture those areas. The US did not think the Japanese could launch multiple campaigns at once. The US expected only one attack. The belief was that Japan was suffering. The prolonged war with China and the US embargo that started in 1940 which halted gasoline, tools and airplane equipment was taking its toll. 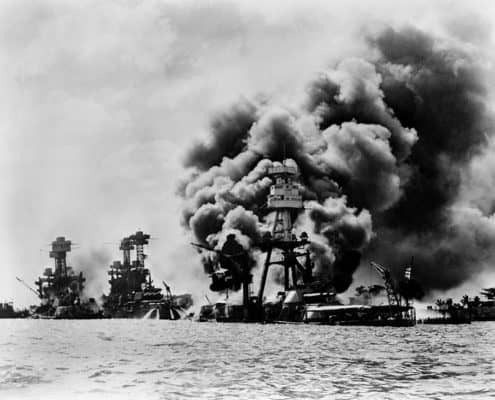 The US thought that stopping oil shipments in July 1941 and moving the US fleet from San Diego to Pearl Harbor would reduce Japanese aggression. Japan needed to secure new supplies for the empire and Southeast Asia was the nearest option available. The allied forces were well aware of the Japanese intentions. It was not a secret. What was a secret was their strategy for achieving those objectives. 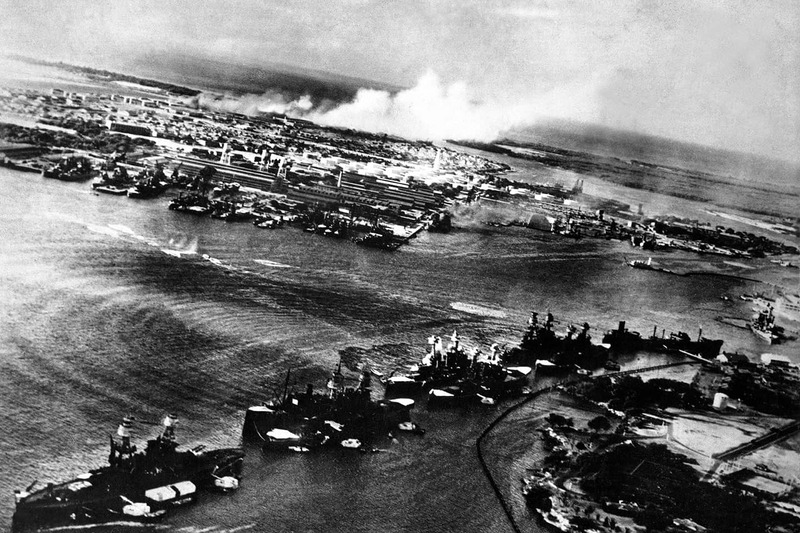 Going after the US fleet at Pearl Harbor was considered counterproductive unless the fleet could be disabled long enough for the Japanese to secure their island positions and supply routes. Once secured, they hoped that the US would negotiate for peace instead of taking additional heavy casualties and making the resource commitments that would be required to break the defensive line Japan created in that time. The Japanese commanders knew there was great risk in “waking up” America’s industrial might and patriotic fervor with a direct attack. 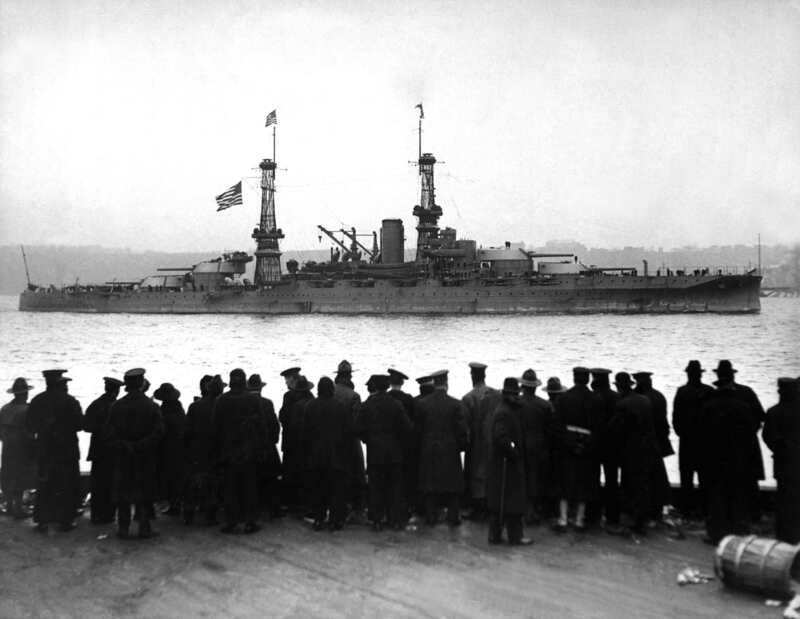 President Roosevelt was worried that the public would not respond to calls for help from allies or demand a full declaration of war, unless an attack took place on US soil. The Philippines, a US protectorate, was seen as too far away and not part of the US public’s “America First” policies. 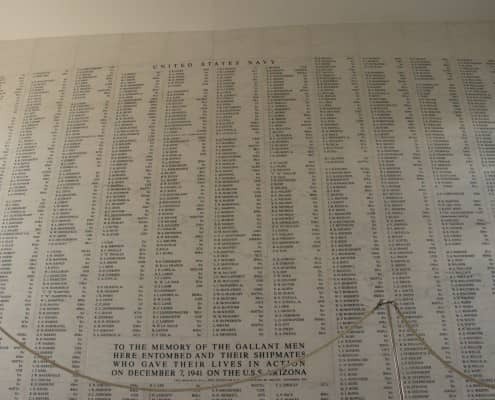 The US public, tired of the death and destruction of fighting on foreign soils during WWI, was against going to war at all – especially another foreign war. Even the famed aviator, Charles Lindbergh, was a leading advocate for the “America First” movement and felt the US should remain out of the wars in Europe and Asia. Indeed, the Japanese completely misread the American public’s sentiment when they made their move on that fateful day that will live in infamy. 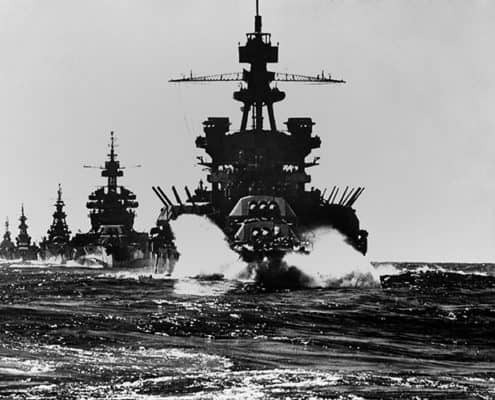 Japan was able to partially achieve their goals, and although they touted the attack as a great success, it’s benefit to them was short lived as they failed to achieve the primary goals of the attack which were to break the US morale and destroy the entire Pacific Fleet. 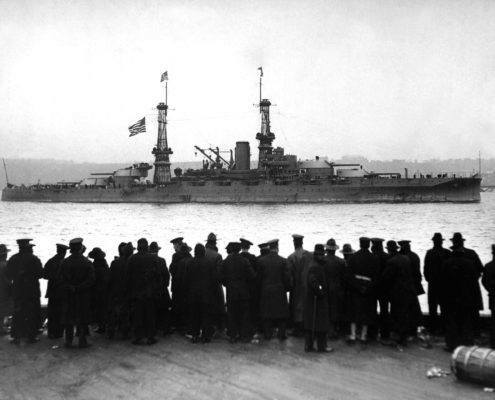 After the attack all the Pacific fleet battleships, except for 2, were re-floated quickly and American citizens were ready to sacrifice. They volunteered in droves after 15 sailors and 1 marine received medals of honor for the day of the attack, 11 of them awarded posthumously. The first ship to encounter and fire upon Japanese forces was the USS Ward. It was attacking submarines outside the harbor, dropping depth charges on subs trying to enter the harbor. 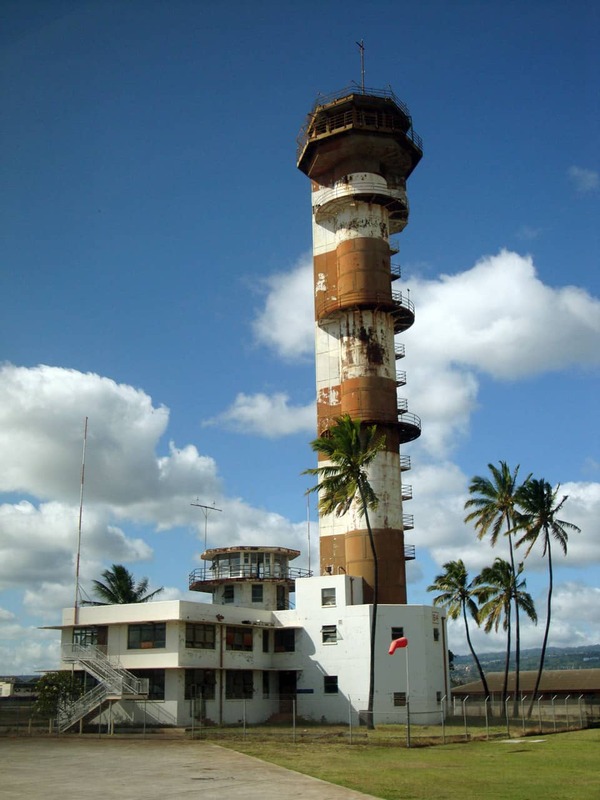 Opana Point, a radar station, spotted the incoming planes from the Japanese fleet. The technology was new and they were mis-identified as planes scheduled to be coming in that day from the US Mainland. 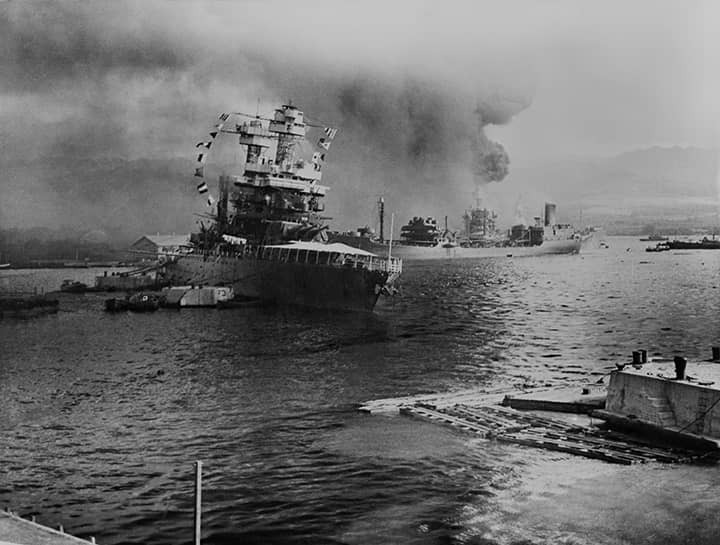 American ships were also attacked almost simultaneously in the waters between San Francisco and Hawai’i, causing confusion regarding from where exactly the Japanese were attacking. 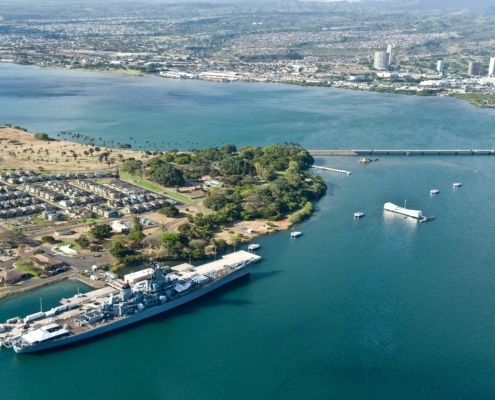 Beyond Pearl Harbor, Ewa Mooring, Mast Field, Naval Air Station Pearl Harbor, Naval Air Station Kaneohe Bay, Marine Corps Base Hawai’i, Wheeler Field and Hickman Field were also attacked. 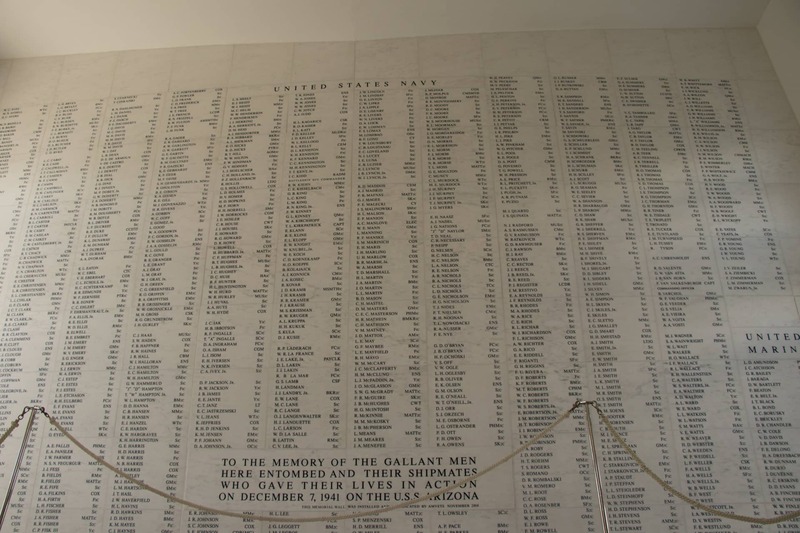 Only 5 survivors from the USS Arizona are still alive as of March 2018. 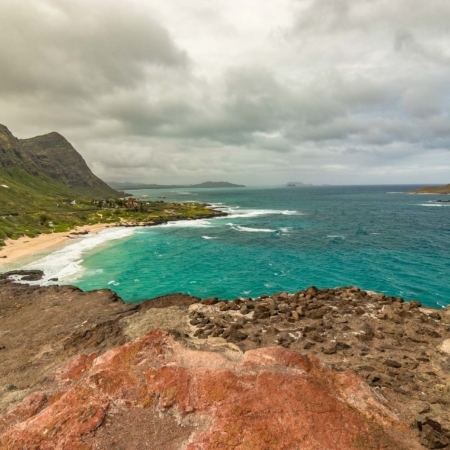 On the beach of the Marine Corps Base Hawai’i, John Finn, the first Medal of Honor recipient fought an enemy sailor. The Dungeon on Ford Island was a shelter used by the families of sailors and aviators as the bombing continued over the 2 hours. Admiral Kimmel’s office at Magazine Loch came under fire and he was hit by a spent cartridge in the chest. He survived although he lamented that it would have been more merciful to kill him as much of the blame for unpreparedness landed on his shoulders. A shipyard crane operator swung his machine back and forth to distract low flying airplanes and help direct anti-aircraft guns from a nearby ship in dry-dock. The cooperation resulted in a number of planes being hit. 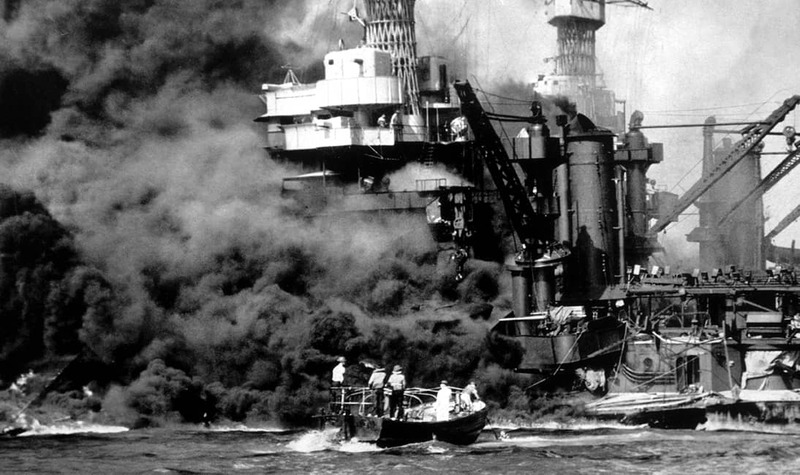 Read more interesting facts about the Pearl Harbor attack and World War 2. 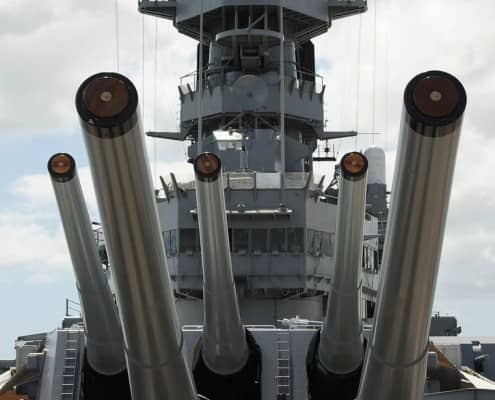 The focus of the attack was to cripple the backbone of the pacific fleet with the main targets being the aircraft carriers and battleships, which at the time, projected the US military’s strength across the Pacific. 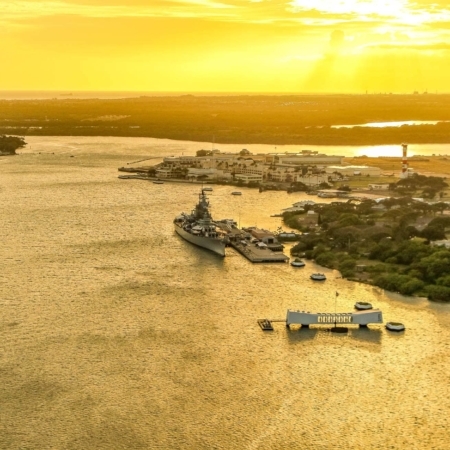 Of the 8 battleships in port that day, only Arizona and Oklahoma were a total loss. Most were re-floated and repaired by mid 1942, less than 6 months later. 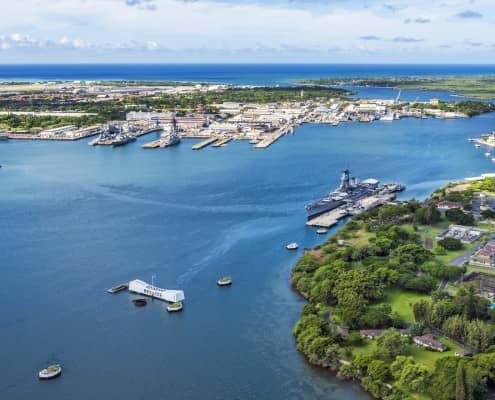 The ability to repair and reactivate those ships quickly after the attack on Pearl Harbor was due to the fact the Japanese did not destroy the maintenance or repair facilities in the harbor – a gross and soon-to-be costly oversight in their planning. 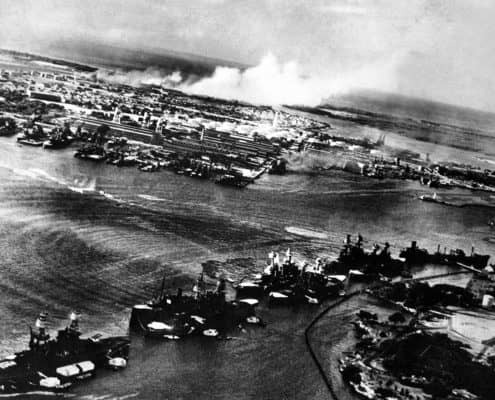 The attacks that were carried out beginning on December 7, 1941 did succeed in many ways for the Japanese, although there were many distinct challenges created by trying to sink a fleet in a shallow harbor. US ships would be re-floated quickly and repairs made while sailors who were not trapped or killed were easily rescued. The quick repair time allowed the US to rebound from the attack within 6 months, cutting down the amount of time Japan thought it had bought itself to consolidate their positions in Southeast Asia. 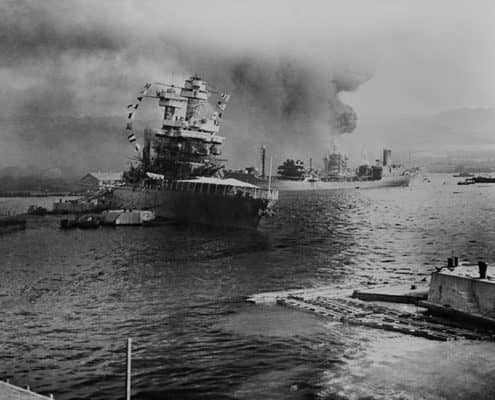 The Japanese also failed to hit Pearl Harbor on a day when the all important aircraft carriers were in port. The USS Enterprise was south of Kauai and USS Lexington was ½ way between Midway Island and Hawai’i while the USS Saratoga was in San Diego. Missing an opportunity to eliminate these vessels would come to haunt the Japanese Navy during the Battle of Midway just 6 months later. 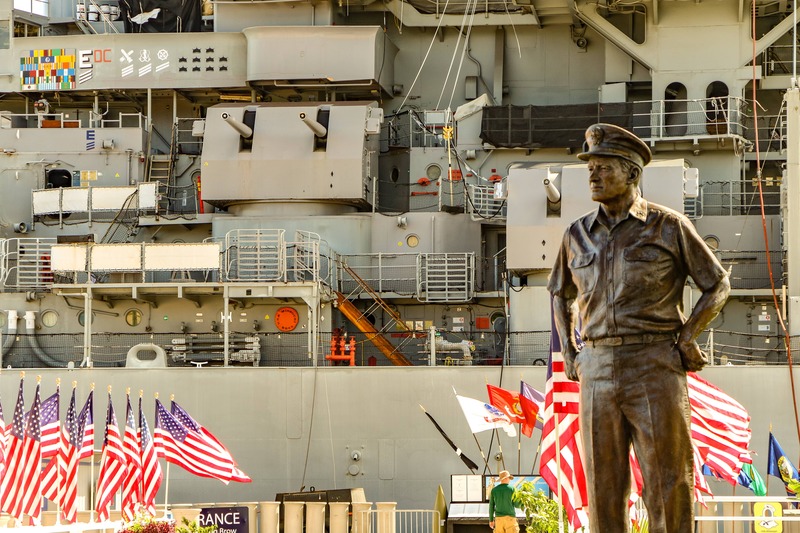 Admiral Nimitz commented that we were lucky that the fleet was in harbor. 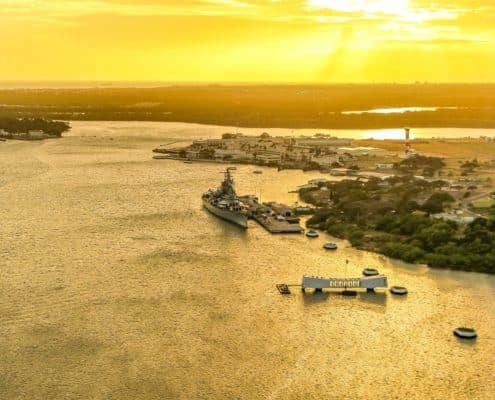 If we were surprised out at sea, then we would have lost the battleships forever and many more lives would have been lost. The reaction was not as Japan had intended. 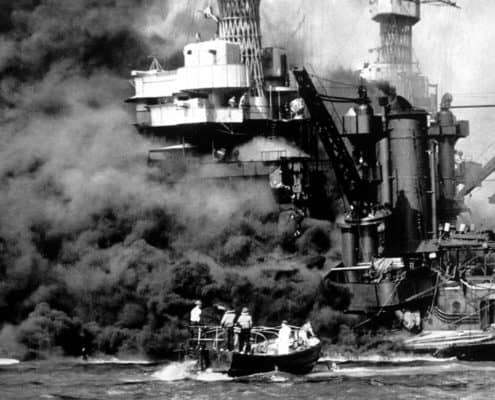 The American reaction to Pearl Harbor allowed the US to enter World War 2 firmly with near unanimous public support. The American industrial might was unleashed on Germany & Italy as well when they declared war on the US only four days after the attack. 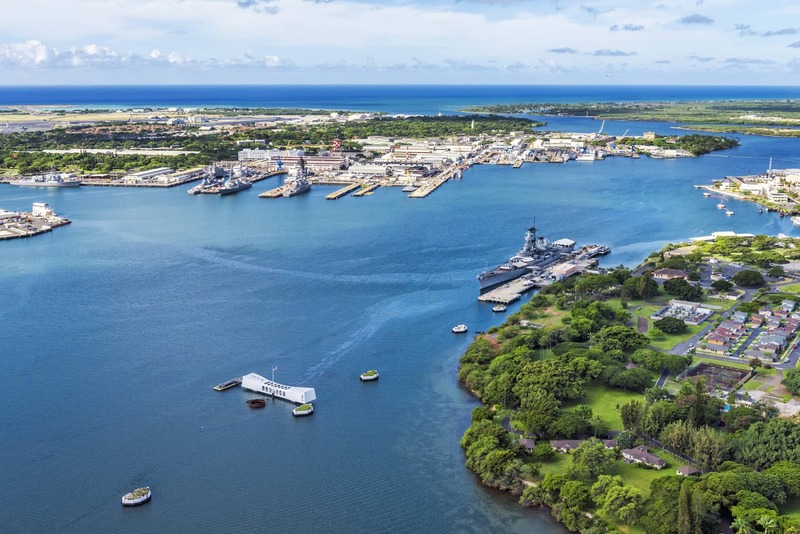 Over 75 years later, Pearl Harbor is still the main Naval port in the Pacific. Strategic military importance has only increased, as was seen with the recent false alarm over an incoming missile attack. 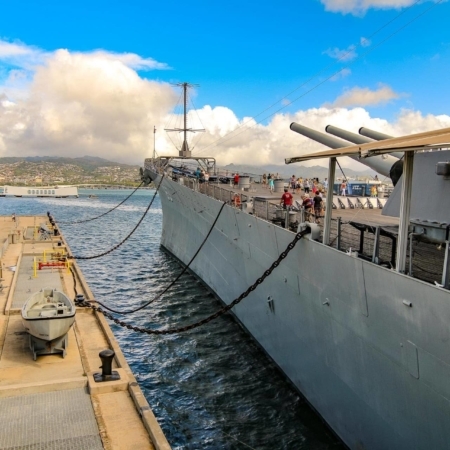 Residents of Hawai’i took it seriously, as Oahu holds a considerable amount of military equipment and would be a likely target in the future. 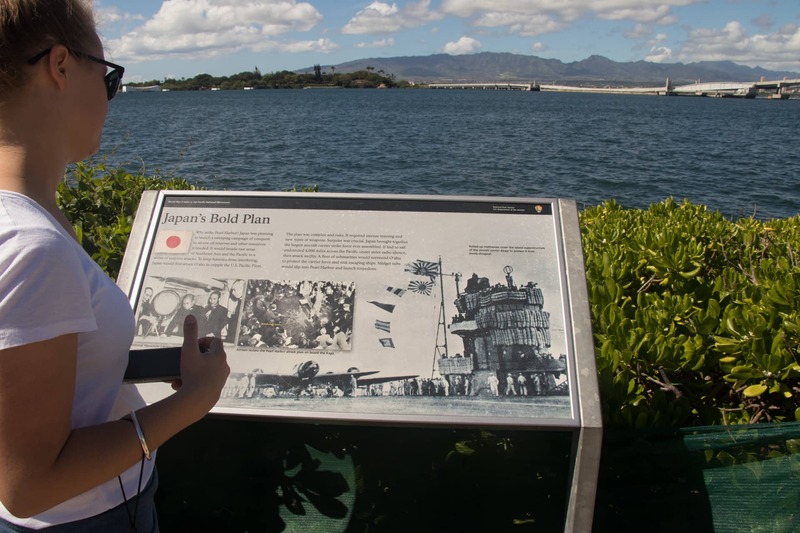 The US Navy continues to utilize the port and pays respect each time a ship sails past the USS Arizona Memorial. It’s not just the US Navy but other ships do as well even when flying under foreign flags. Everyone remembers Pearl Harbor. 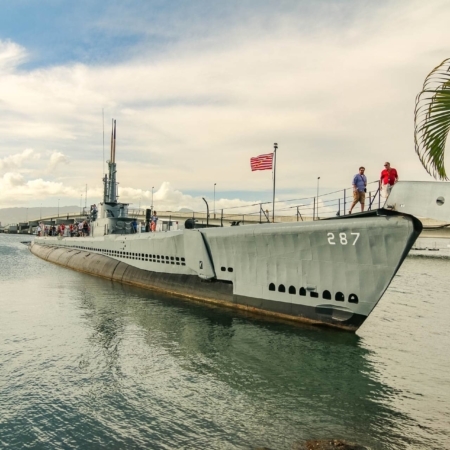 A visit to the World War II Valor In The Pacific National Monument includes a movie and boat ride to the memorial. 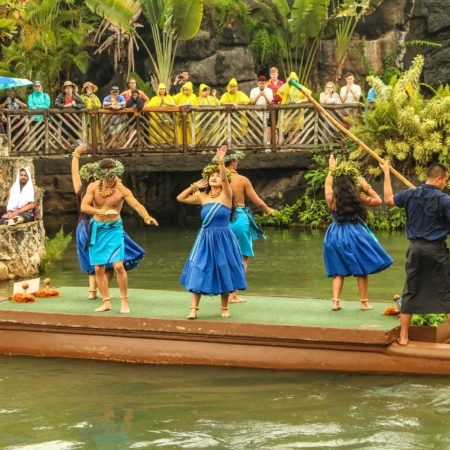 See Historic Honolulu City; drive-by Iolani Palace, and through National Cemetery of the Pacific.